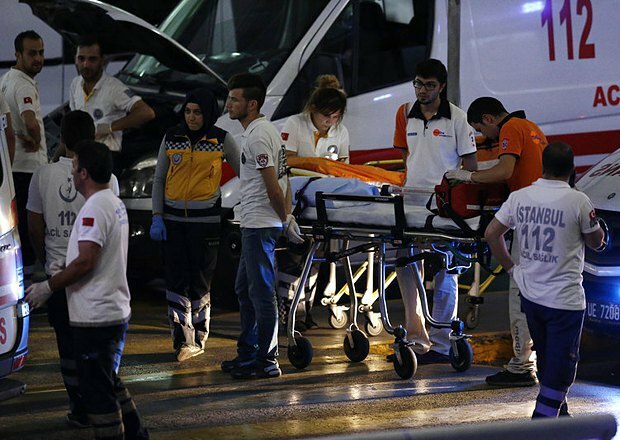 The echo of the biggest terror act at Istanbul airport on 28 June has not subsided. Every day brings new information about the terror act which offers a new look at the motives of this and other similar crimes. this is Islamic State seeking revenge for Turkey's counterterrorism operation (the terrorists rejected this version), these are Kurds fighting for Kurdistan's independence, this is HAMAS being unhappy about Turkey and Israel rebuilding ties, which ensues tough action on Palestine terrorists; this is [Turkish President Recep Tayyip] Erdogan once again "tightening the screws" this way. There was the fifth version, that on Russia's involvement. But in Turkey it was not made public, it was considered to be "conspirological" and mostly popular among Ukrainian experts. After all, Ankara chose the version blaming the terror act on Islamic State. This is what Turkish President Erdogan said: "Around 20 Islamic State militants, mainly foreigners, are in custody in connection with an attack last week on Istanbul airport." And although the number of those detained was growing, the Islamic State version remained unchanged. However new details suggest a somewhat different look at the situation: the Islamic State militants turned out to be Russian nationals, as many as 11 out of 17 detained foreigners. The two suicide bombers from the airport turned out to be Russians, for example, as well as the alleged mastermind, Ahmed Chatayev from Chechnya (more about him below). This information to some extent modifies the main version of the incident because it puts the blame not on some abstract "adventurers" but quite specifically points a finger at Russia as the country which may be behind the terror act at Istanbul airport. Let us scrutinize this version. First, the most notorious recent terror acts, for which Islamic State claimed responsibility, took place on the eve of important talks with the participation of senior officials from Russia and the West at which the Kremlin tried to push partnership in anti-terror efforts on them. So this is the fourth bloody event which turns from an occasional coincidence into a regularity. In particular, the terror act in Paris happened on 13 November 2015 and was clearly timed to precede the foreign ministers' meeting on the Syrian issue on 14 November and, what is most important, the G20 summit in Turkey which opened on 15 November. 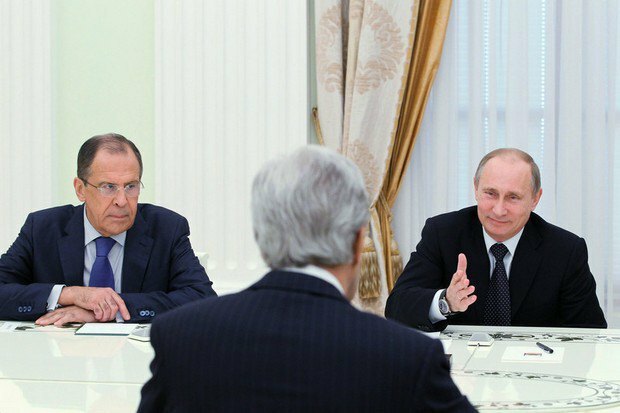 The Brussels explosion in March 2016 took place a day before Kerry's visit to Moscow. The terror act in Aktobe, Kazakhstan happened exactly on the day of [Russian Defence Minister] Sergey Shoygu's arrived on a visit whose agenda included more active joint efforts to fight terrorism. Therefore the Istanbul attack quite fits the Kremlin pattern as it happened exactly a day before Putin and Erdogan had their first conversation after a long break. The terror act in the Turkish president's backyard could well be a demonstration of the might of the Russian colleague: shocked by the terror act, Erdogan would be more compliant on Syria and the fight against Islamic State, the areas where Moscow and Ankara still fall out on to a large extent. The tactic has proved effective for the Kremlin in relations with the USA when Bush Jr was the president: shocked by the 9-11 terror acts, the US president easily accepted the help from Putin who was the first to call him. Further mutual cooperation between the Kremlin and the White House became a culmination of Russian-US relations. Relations between Russia and Turkey have been tense, to put it mildly. After Turkey shot down a Russian bomber, there has been an information and economic war for over six months now. And suddenly Erdogan makes a U-turn and apologises to the pilots' bereaved families. And there he is, Putin immediately lifts the ban on Russians' travel tours to Turkey. And this decision is taken the next day after the resonant terror act in Istanbul. Possibly. But it is more likely that Putin is confident that there will be no more terror acts in Turkey and his citizens will not be affected by them. Hence the question: why is the Kremlin leader so confident? What does he know that allows him to quietly send his citizens to a potentially dangerous region? It is really comfortable to blame all crimes on faceless Islamic State. But if you dig deeper and look a this motley crew, the picture becomes much more interesting, a Bond story of sorts in its updated version. The thing is that the backbone of Islamic State is made of former Iraqi servicemen back from the times of Saddam Hussein (many of whom studied in the Soviet Union). There are also Syrians who are unhappy about Bashar al-Assad. But there are also Russian nationals in Islamic State (ISIS): according to the Russian Security Council, there are officially about 2,000 people. And how many more unrecorded members are running around the desert armed? 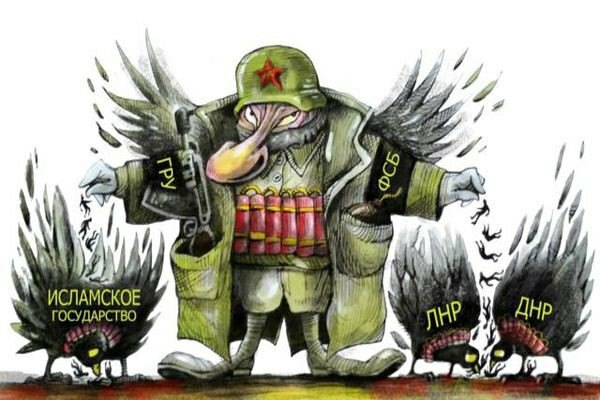 According to Reuters, there can be a whole group of Russian-speaking militants, from Russia and Asian countries, which may number from 5,000 to 10,000 militants. It is no surprise that road signs in ISIS-controlled territories are in three languages: Arab, English and Russian. What is more, Islamic State lures not only fanatics or desperate people, many Russian nationals are sent to Islamic State on purpose! Chechen leader Ramzan Kadyrov made a statement to this effect on the air of Rossiya-1 TV on 10 February 2016. In his words, the fighters operating in Syria have had training at the Special Forces Centre near Tsentaroy. As Kadyrov said on TV, he "managed to establish a sprawling agent network inside ISIS" where he had "sent the republic's best fighters". Can the version that the Istanbul airport explosion was organised by Kadyrov's cutthroats be ruled out? Considering how treacherous Russia is, this option should be kept in mind. in 2012, two Turks were detained in Turkey: Murat Aluç, 47, and Ömer Peltek, 24, who killed Inchkeria's "honorary consul", Turkish businessman Medet Ünlü. Aluç told police they were hired by the Russian special services to carry out the killing. The Turks were detained after a series of other notorious murders. During their investigation several suspected employees of the Russian special services were detained. of the latest incidents: three men suspected of links to ISIS were detained for planning a terror act during a gay pride parade in Istanbul. According to the Turkish news agency Dogan, one of the detainees is a Turkish national, the other two are from Chechnya or Dagestan. The Turkish special services believe the Istanbul airport attack was organised by Ahmed Chatayev, a former Russian national who was granted asylum in Austria. The Russian position on the matter was: "we told you, we warned you, and these people are on our wanted list." The version looks reliable only at first sight. If you dig deeper, it will transpire that the heroic biographies of many "fighters against the Russian regime" have deliberately been built by the Russian special services: to make sure that the right people "move" abroad. For example, within the framework of various programmes for resettlement or assistance to political refugees. And it is not even a conspirological version but the evidence of a whistleblower FSB officer who back in his time in office built such a "biography". In his interview he recalled that of good intent, European rights activists helped people persecuted in Russia to leave. However the FSB planted its own people among them, they were provided with necessary documents and a legend. The former special service officer said that a specific person was given a package of documents, a passport for foreign travel, a record showing that his or her relatives are being persecuted, case records from the FSB and the Interior Ministry in Chechnya and Dagestan, newspaper publications on the person's connection to illegal armed gangs, and on the person's persecution by law-enforcement agencies. Then the person was followed up to filtration stations abroad. No-one touched the person for about a year. After a long while, the person was contacted, say, by Chechen elders who were linked both to the FSB and the diaspora abroad. This stage involved financial assistance - first, thousands, then dozens of thousand dollars to support the family, set up a business, and cover intelligence or sabotage efforts. Years after, Europe recognised the threat when it faced migrants from the Middle East: Merkel said terrorists sneaked into Europe disguised as migrants. Ahmed Chataev's life line up until his appearance in Islamic State weirdly matches this tactic of the Russian special services. Ahmed Chataev aka One-Handed was detained during the second Chechen war however he somehow managed to escape a jail term and moved to Austria in 2003 where he was granted refugee status. He claimed he was badly tortured in a remand centre and that his hand was even cut off (according to our accounts, his hand was amputated because of a wound). In March 2008, he and other immigrants from Chechnya were detained on a ferry which arrived in Trelleborg, Sweden. Kalashnikov machine guns, explosives and cartridges were found in the car registered in Chataev's name. One-Handed said that the arsenal was planted. Having spent over a year in a Swedish prison, Chataev came to Ukraine. There he was arrested again, this tie on the request of Russian law-enforcement agencies. However it did not end up with extradition because the Chechen was helped out by rights activists who reminded the Ukrainian authorities that Chataev has the status of refugee in Austria and is under its protection. 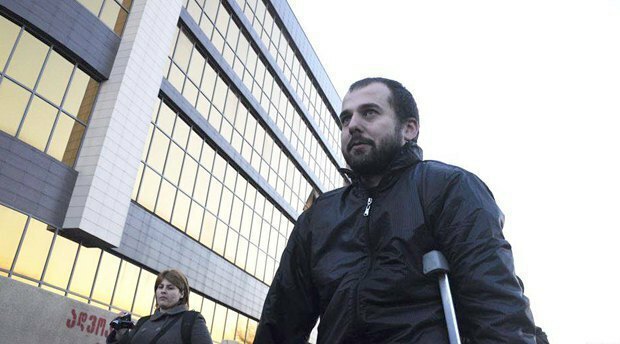 A year later, Chataev was detained in Georgia, in the gorge of Lopota, during a search mission by Georgian uniformed agencies after an engagement with militants. Eleven bandits and three Georgian law enforcers were killed in the clash. Chataev insisted he had nothing to do with this group of militants. A court in Tbilisi acquitted him and he was let go after spending only several months in custody. And after all this he moved to Syria where, according to the Russian special services, he is in charge of the entire Russian section in Islamic State. This is why Russian media and experts find it easy to "hang" Chataev on Europe which gave him shelter and on Ukraine and Georgia where he was detained and let go. Considering everything mentioned above, we can say that the participation of Russian citizens in the Istanbul airport attack on 28 June and other similar crimes in various corners of the world proves one simple fact: the incumbent Russian authorities consisting of people who came from the special services (this is where the true junta is) facilitates terrorism by all means. And therefore to recognise Russia as a country supporting terrorism is the first step to prevent other crimes by its leadership. And the deliberate "leak" of information about the Russian citizenship of the terrorists in Turkish mass media may well be interpreted as Ankara's message to the Kremlin: "Guys, we know everything."